The Freaky brings you another strange but true story from the endlessly weird natural world …ant suicide bombers. A suicide ant with its ruptured stomach after explosion. When their colony is under attack the Apicotermitinae species of termites will explode their own stomachs showering their attackers with their excrement, but killing themselves in the process. The hope is that this weird behavior will be for the greater good of the colony and slow down the progress of the invaders. This bizarre form of suicide goes by the scientific name autothysis and is practiced by a number of different ant and termite groups. Malaysian Ants (scientific name Camponotus sanders) a type of Carpenter ant do something similar, they have two glands either side of their body filled with a sticky poisonous glue, which they explode when they engage in territorial battles with other ant colonies. The poisonous glue sticks to the enemies immobilising them. 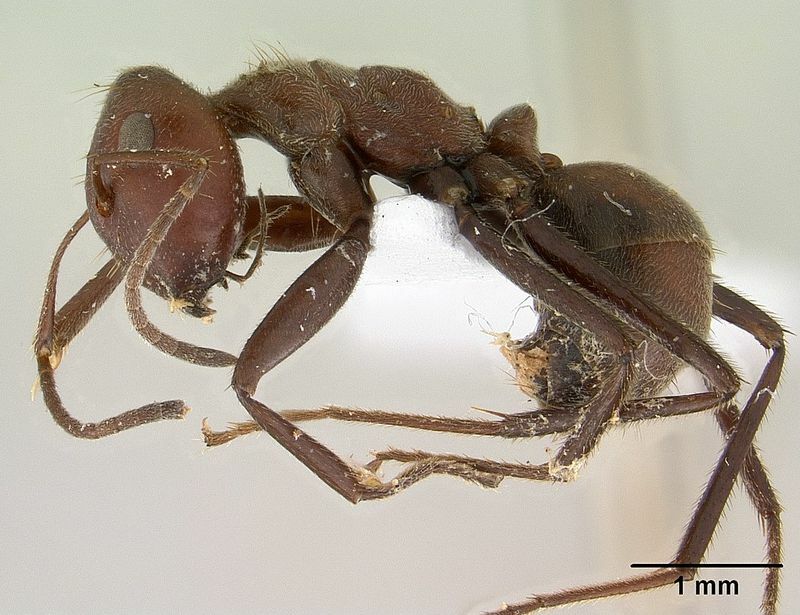 Neocapritermes taracua ants take it one stage further and carry an explosive suicide vest. The ants have evolved to have a blue spot on their stomach that carries a blue copper containing mixture which when exploded is toxic to their enemies. Scientists have found no evidence that the ants believe they will be rewarded with access to 70 virgins in termite heaven for their self-sacrifice duties. This is obviously a joke! Autothysis, a term first coined by the scientists Maschwitz and Maschwitz in 1974, is another example of how weird and strange nature can be.